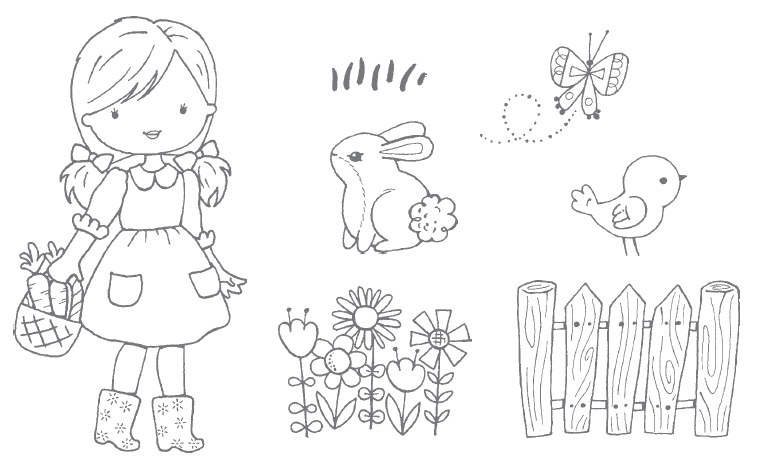 OK, so once again I come back to water-colouring, but my only excuse is it is the perfect medium to use on this very cute stamp set - Garden Girl. 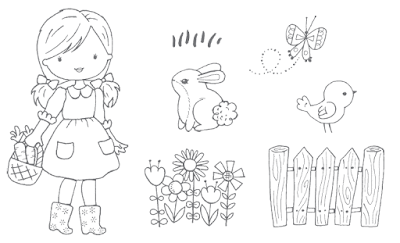 The images are perfect for colouring so you could use your favourite technique on this set too. 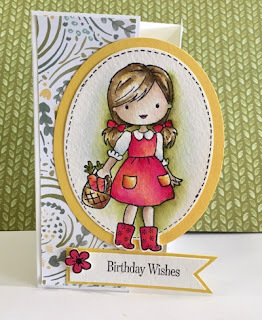 I used the inks from the lid of my Stampin' Up! ink pads with an Aqua Painter. This allows for a freedom of application that the water colour pencils do not, however if you are a "pencil preferer" then this set will work beautifully for you with the addition of a Blender Pen or the Aqua Painter brush. The 7 images provide plenty of opportunity to create gorgeous cards for many occasions. 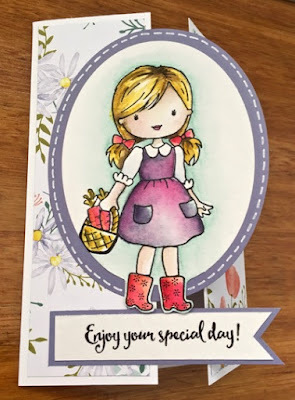 The card is a gate-fold design with the oval not fully cut to allow for the little girl's boots to protrude out the bottom. It is stamped on watercolour paper using Archival Black ink and using Melon Mambo and Daffodil Delight ink for the dress. The Designer Series Paper is from Delightful Daisy - one of the many papers included in this month's special of Buy 3 Get 1 Free. I thought I'd like to create a little blondie to go with my brunette, and I chose Wisteria Wonder as my base colour. In the dress I combined the Wisteria with Melon Mambo to add some life to the fabric. Below you'll find a list of the Stampin' Up! products I used in creating these cards. If you'd like further information on the technique, please contact me. Best Wishes and happy crafting.